Extreme demand for the EVOline express power socket rail. As many customers have noticed, the availability of EVOline products is limited at the moment. Especially for the EVOline express series, there is an extreme demand. Worldwide demand is beyond any expectation since the global economy is booming. As a result, lead-times are increasing. Although EVOlineStore has the largest stock of EVOline products worldwide, sometimes the demand is just overwhelming. 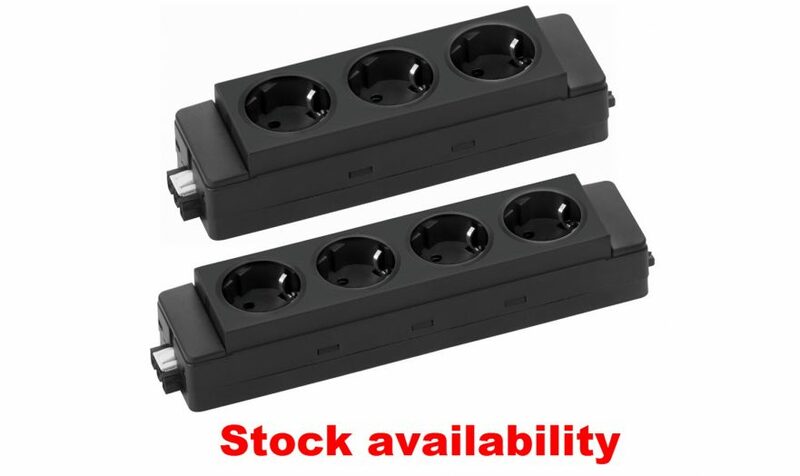 The good news is that we have managed to increase our stock of three- and four-fold express power socket rail. We have standardized to the GST18 connection black version. Wago/Winsta connector and red colored versions are also available but we do not have them as stock items. The express system is favorite with customers that install larger projects. The flexibility to combine several socket rail with all kind of lengths, power- and pair-cables, makes it fast to install the winning system. EVOline Express Type 910 for a consistent modular power supply provides a flexible number of power sockets. Self-extinguishing plastics, sockets with contact protection and the testing of every single product before dispatch provides the highest safety. Similarly, protection and switch modules are available as well.